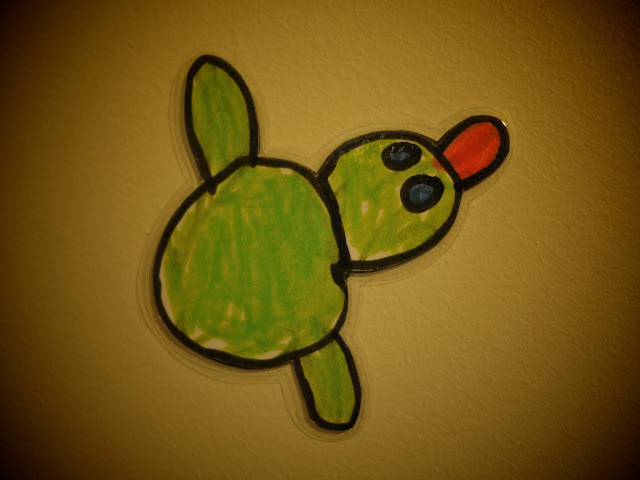 Recently Ava drew a picture at preschool of a landscape (castle and trees as usual) with a duck flying in the sky. 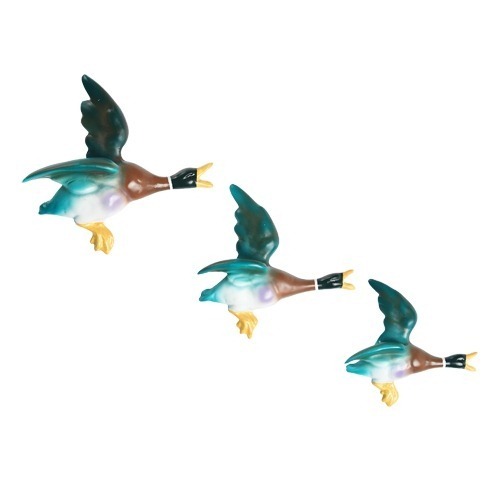 The duck reminded me of the kitsch ceramic flying ducks from the 50s, 60s and 70s (as below). 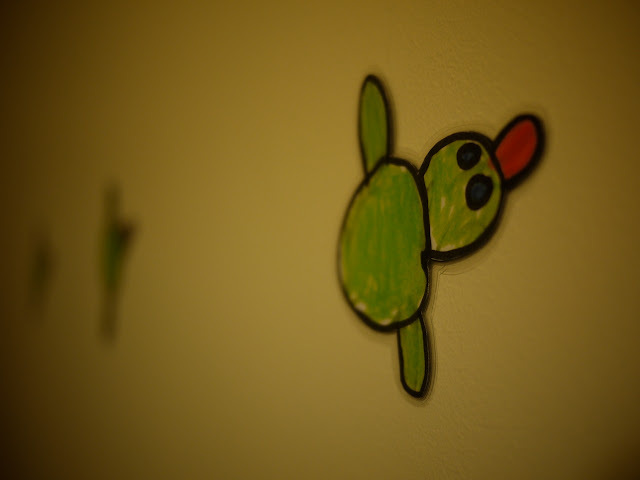 I thought it would be cute for Ava to create her own set of flying ducks to hang on the wall. 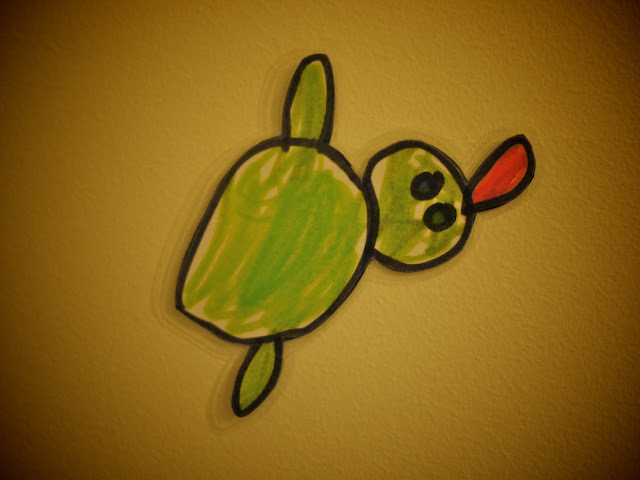 As it was rather rainy today we decided to have a day inside of crafty pursuits. 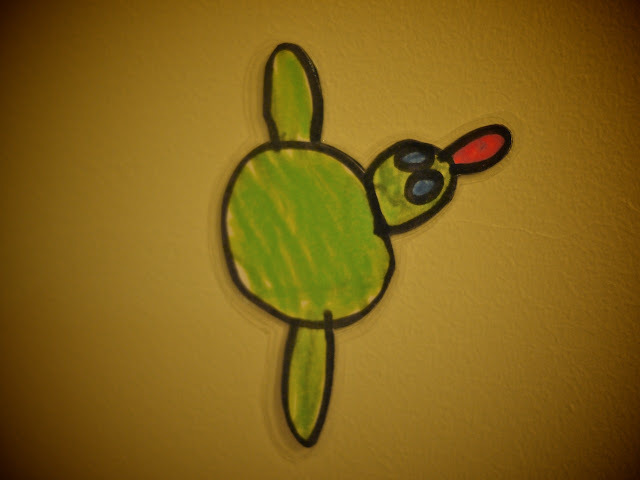 One such crafty activity was the creation of Ava's flying ducks. Ava drew the ducks with texta and then I very carefully cut around the edges. At the moment Ava likes to draw everything with black outlines. This made cutting the ducks out extra easy! I then mounted the ducks on black cardboard to give them a little rigidity. Once I had cut the ducks out again it was off to Office Works to have them laminated. 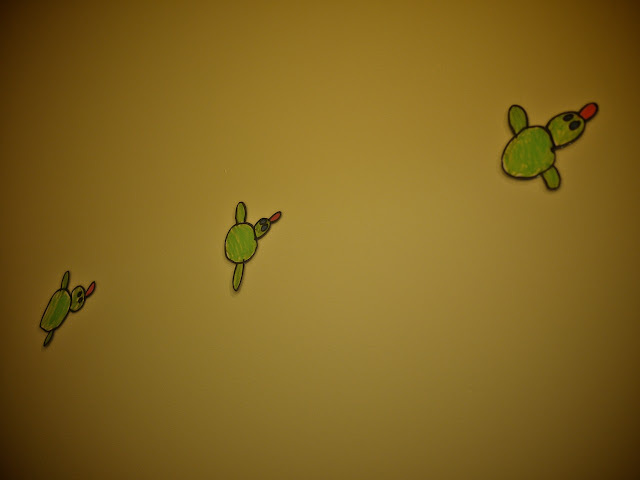 A little more cutting out, a bit of Blu-tack and... voila, three flying ducks on the wall!